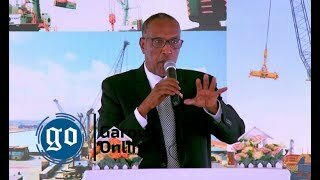 GALGALA, Somalia Jan 6, 2015 (Garowe Online)-The President of Somalia’s Puntland Government Abdiweli Mohamed Ali has confirmed that Puntland Defence Forces (PDFs) killed 20 Al Shabaab militants in a two-day deadly raid on bases in Galgala, Garowe Online reports. 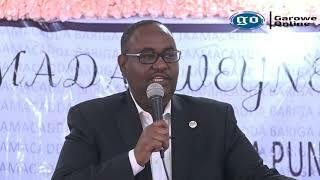 Speaking at a press conference in the state capital of Garowe on Tuesday afternoon, Ali said that Puntland army troops seized Guri-xoor, Dhagaxdher, Guri Dharkeyn, Gurihis, Karin Xagared and the largest hideout of Digjigle which lies 37km from Galgala village from Al Shabaab fighters. “Puntland forces killed 20 [Al Shabaab militiamen] and wounded 29 others. Five Puntland soldiers were martyred in the military offensive and four sustained injuries,” said Puntland President, adding that army troops also destroyed cache of weapons and seized surveillance equipment. 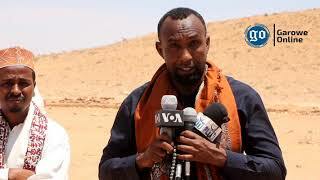 Continuing, he went on: “Puntland soldiers captured senior Al Shabaab officials including Mukhtar Abdinur Ahmed (Ahmed Gurey) and Ahmed Abdi Mohamed in direct confrontations”. 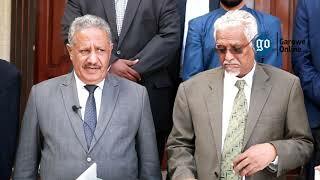 Puntland leader noted that the two were militia commanders who played a pivotal role in the latest clashes. 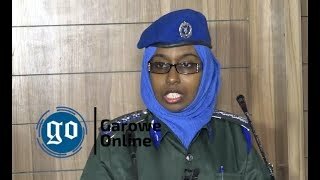 On Monday, army soldier on Galgala frontline said on condition of anonymity while speaking with Garowe Online that Dindigle is fogged, rugged terrain and inaccessible by vehicle. Garowe Online has been notified of the persistent technical and military support by key international partners. Puntland government in northern Somalia launched first assaults on Al Shabaab hideouts in Gagala area and along Golis Mountain Ranges in mid-2010. Ever Since, Al Shabaab has been opting for guerilla warfare in the restive Gagala, some 50km southwest of the Gulf of Aden port city of Bossaso. Shabaab fighters continue to infiltrate the stable state according to intelligence briefings.